This is the second of two historical markers erected by the West Virginia Division of Archives and History to commemorate the Underground Railroad. Placed in 2003, due to the efforts of URR historian Henry Burke, it’s located in Parkersburg, WV, near the Ohio River boat landing for Blennerhassett Island, which has a fascinating history in its own right. 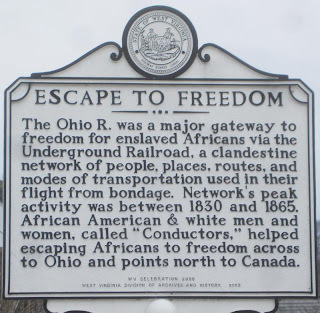 The Blennerhassett Museum in Parkersburg has one of the original reward posters slaveholder Solomon Harness had printed in August, 1843 after Jane and her seven children escaped from his tobacco plantation upriver from Parkersburg, just north of Williamstown, WV. West Virginia didn’t exist as a state at that time but was part of the slave state of Virginia. 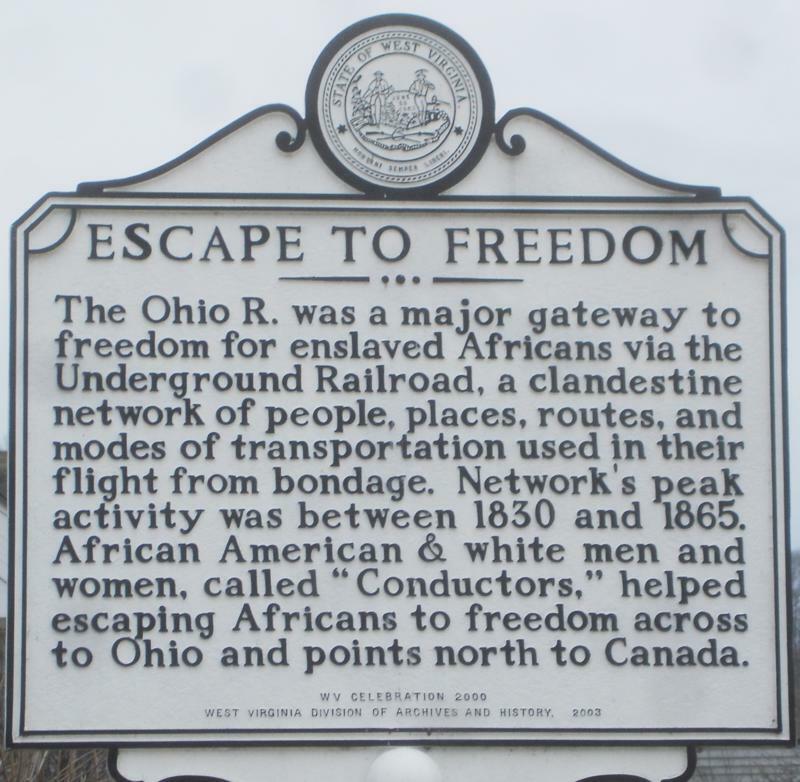 The Ohio River, separating Virginia and Kentucky from the free state of Ohio, was often referred to as the River Jordan because of the potential sanctuary it offered escaping slaves.